When you develop cavities, Dr. Lalonde will remove the decay and replace it with dental fillings. In the past, fillings were made of a metal alloy called amalgam, which contains about 50% mercury. Metal (amalgam) fillings looked dark and unattractive, and can actually weaken tooth structure over time. Dr. Lalonde repairs tooth decay with white composite tooth colored fillings. With composite tooth colored fillings, Dr. Lalonde can conservatively repair the tooth and leave more of your natural structure intact than with metal amalgams. Because they blend seamlessly with your smile, only you and your dentist will know which teeth have been filled. Enjoy the beauty and strength of tooth colored composite fillings. 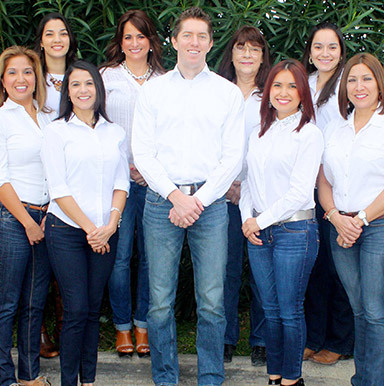 Our Los Fresnos office is conveniently located for Brownsville, South Padre Island, Port Isabel, San Benito and Bayview patients. Call today to schedule appointments for you and your loved ones.